Thank you. I am writing a novel. One of the major characters is a girl from Timor; the time is 1945 in Manila. I needed some language and literature help and was looking forward to spending several hundred dollars on books, etc., until I found this site and all the things it links to. 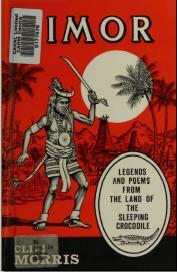 Of course one of the things I was in hot pursuit of was Cliff Morris's Legends and Poems. Now I also have Masteress van Klinken. She is a God-send. Well, long live Australia. Lee Smith, native New Yorker, we're living now right by the Dallas-Fort Worth airpost.